Suniva asked for new solar panel tariffs that would push pricing substantially higher and hurt most employed in the US solar industry. Defusing a new potentially damaging solar panel tariff that would likely dramatically slow solar growth will require a lot of care. Would a US research and development fund voluntarily financed by interested parties create a solution and avoid seriously negative tariffs for the US solar industry? Suniva filed a section 201-203 petition with the US International Trade Commission (“US ITC”) to enact substantial new tariffs for crystalline silicon panels not manufactured in the US over the next four years. The US ITC accepted the case and SolarWorld Americas filed in support of Suniva, (combined both companies indicated that they represent 65% of US panel manufacturing). The case is expected to be heard by US ITC by the end of September and go to the President in November. 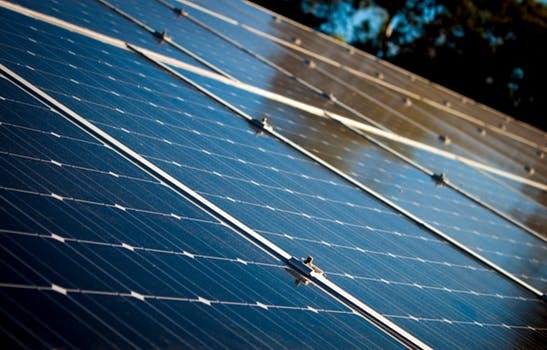 While the amount of the new tariffs may be set by negotiations, politics, the Trump administration and against the compelling arguments of the Solar Energy Industry Association (“SEIA”), the net impact to customers is that instead of realizing declining prices, price of panels could go back to 2012 levels with installed costs being a little better (perhaps 30-50% higher than prices expected previously, and depending on negotiations). This would likely have a materially negative sales impact on the US solar industry, some forecast a 60% decrease of solar panel installations, and while other PV solar technologies (First Solar series 6) are excluded from the tariff complaint, business logic supports prices at a comparably higher price point than without the tariff. SEIA has stated that there are 260,000 current solar industry jobs in the US that would be impacted by solar panel tariff changes compared with 15,000 manufacturing jobs. It is likely that SEIA will also lobby heavily, show that more people are affected in solar (at least double using DOE numbers) than the coal industry employs, and make other strong arguments for not imposing a tariff. And this is occurring at a time that solar receives favorable Investment Tax Credit treatment to help complete with low natural gas prices and realize environmental benefits. Yet, SEIA’s arguments may fall on deaf ears. The Trump administration campaigned to strength tariff protections for US manufacturers and against foreign manufacturing dumping, specifically citing section 201 complaints, and on policies that supported coal along with little sensitivity to environmental programs. So, absent a deal with China on North Korea or for other political reasons, the Trump administration may decide to add tariffs of initially as much as $0.40/watt with an initial module floor price of $0.78/watt. In the debate, a critical question may be can US manufacturing really compete with Asian solar panel manufacturing given the size of the international versus US market. Industry figures show perhaps a 11% US panel market share in 2016 versus worldwide panel manufacturing with anecdotally 1.5 GW for Suniva and SolarWorld Americas in 2016 compared to Jinko Solar’s 6.7 GW production last year. Therefore, it might make more sense to find a long-term R&D solution instead of imposing a tariff that will likely hurt consumers, current industry employment and not truly create a long-term win for US solar panel manufacturers. On the basis of this logic, an argument can be put forth that an R&D fund to help advance new solar panel manufacturing businesses may actually have a substantially positive impact, and if done by the solar industry, avoid a collapse of the current solar market. One approach would be to have the fund established and funded on the basis of US market share of sold panels in the US. Thus, the fund would grow over time with US solar panel sales and could be administered by DOE to US employers based on criteria that they establish which would promote more solar manufacturing jobs. Stakeholders of Suniva, SolarWorld and perhaps others can have access to a certain amount of these R&D funds (perhaps as much initially as 65% based on their 2016 US manufacturing market share) improving their long-term position as well as lowering the cost of solar for customers. It is likely that the aging poly crystalline technology even with a new protective tariff will be continually hurt by low US versus worldwide solar manufacturing market share, and Suniva and SolarWorld Americas will not be able to be protected except for a few years and at the expense of tens of thousands of solar jobs. An industry sponsored R&D plan would allow industry participants to help shape the size of the funding and also participate in some of the benefits, as players such as Suniva have substantial ownership by foreign interests. All ideas to arrive at the best solution are welcome by many in the industry.